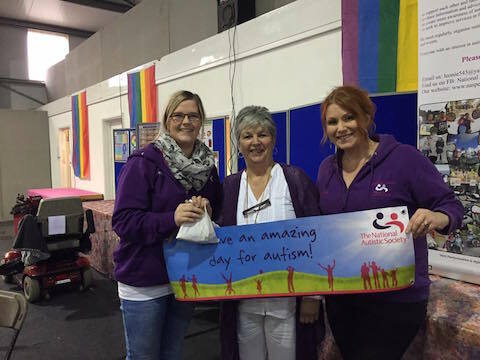 This year we were lucky to be selected as a charity at the West Wales Health Show in April 16. Thanks to Rosemary at R & R training for your ongoing support . Thanks so much to Daniel Beale for raising awareness and £61.50 cash at his Schmae day at Hyfforddiant Ceredigion Training HCT. Very much appreciated Daniel!!! !! **WOW** Big NEWs for NAS Pembs!!!! Many of you will be aware of the amazing Pembs to Paris ‪#‎Pembs2Paris‬ team, a group of friends who got together around year ago, and decided to raise money for charity in Pembrokeshire. Together, they coordinated a whole years worth of events, including a masked ball, supermarket fundraising days, a networking lunch for businesses, county show fundraising, (amongst other things) and culminating in an epic 6 day journey, by bike!! To Paris!! A small team of men and one lady cycled 548 miles, 36 hours total ride, from County Hall in Hwest to the Eiffel Tower in Paris! Ouch!! What amazing undertaking for local charities. NAS Pembs are extremely grateful and quite humbled to be chosen as one of the 3 charities to benefit from these events. 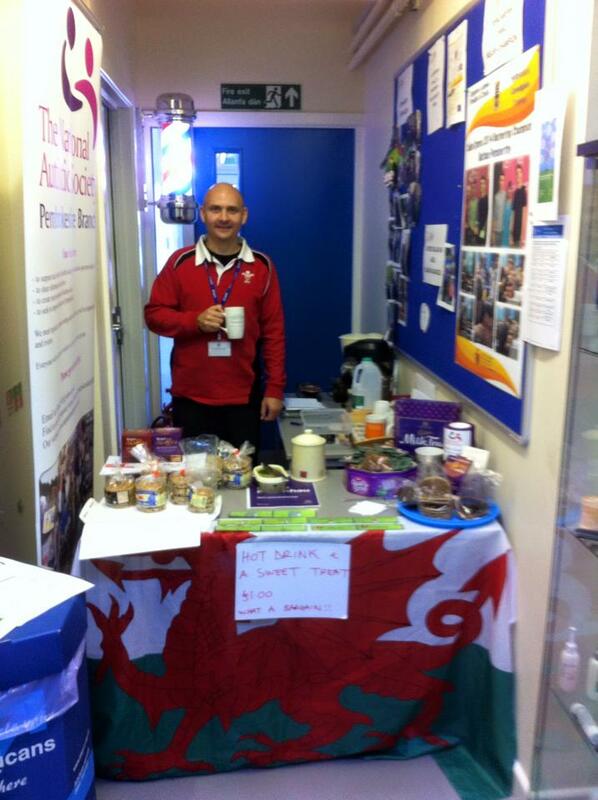 The other 2 charities were Bowlings RDA (riding for the disabled), and Prostate Cymru. Pembs to Paris had originally hoped to raise in the region of £20,000, which would be divided between the 3 charities. 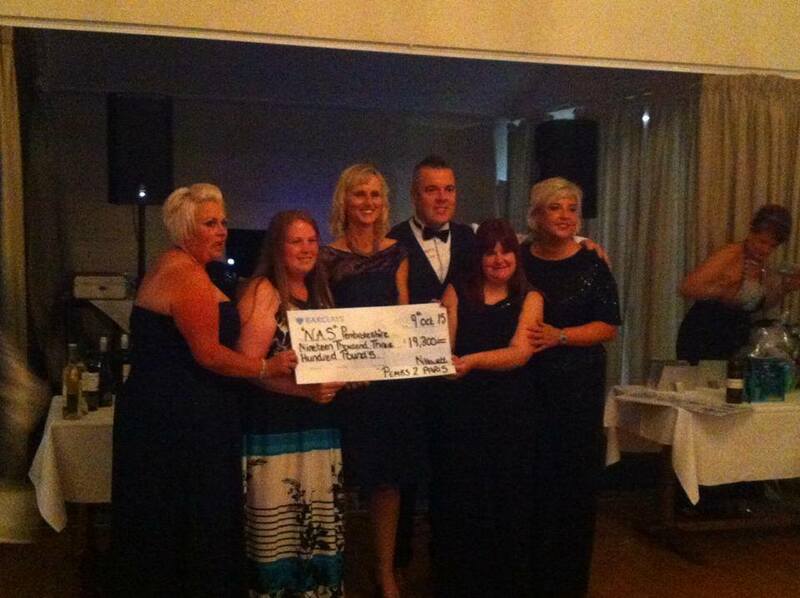 We were invited to a ball at Allt yr Afon Hotel on Friday night, to receive a cheque for our share of the moneys raised. 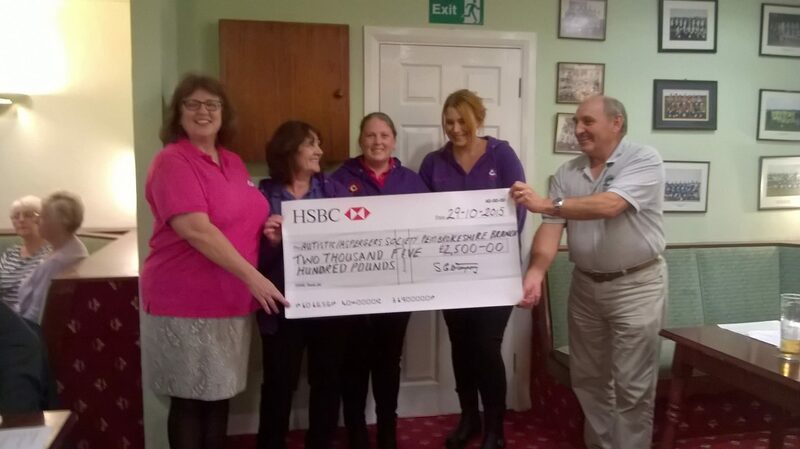 NAS Pembs members attended the presentation evening, where we were astounded to receive the astronomical amount of…. **** £19,300*** OMG!! Pembs to Paris had smashed their targets and raised £58,000!!! This summer we have held three successful sessions at Merlins Magic in Haverfordwest. Many thanks to all the staff at Merlins Magic for making this possible. We intend to make this a regular event with new dates to be announced soon. We held a Families Fun day in August with Circus Skills by Circusdayze and Bouncy Castle provided by Colin Booker as well as crafts and party food. 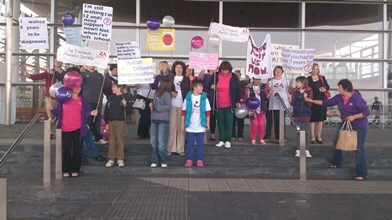 All the children had a great day and we did too . We have also been holding regular events at Battlefield Live Laser tag for our older children. We intend to carry this on too as it has been a great success with more dates to be announced soon. 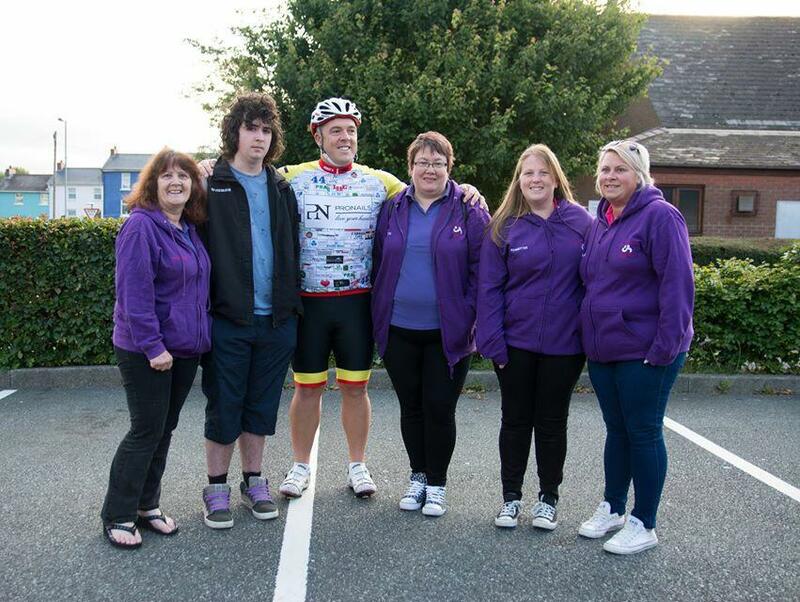 Pembs 2 Paris are fundraising for NAS Pembrokeshire! We had a fantastic trip to the Urdd Activity Centre in Llangrannog, our second year running. 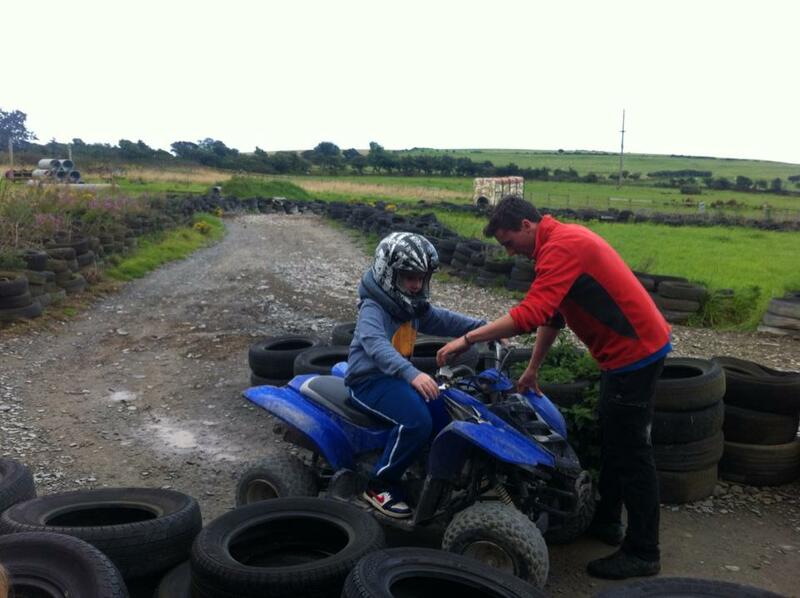 All the families had a fantastic time and tried lots of new things. 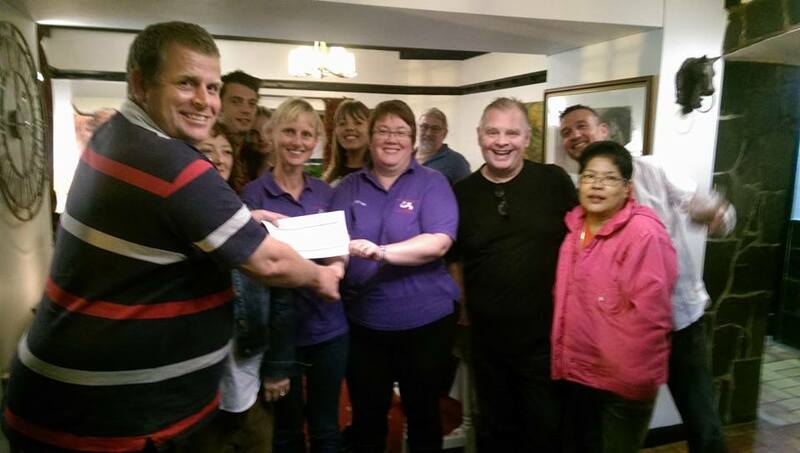 Fantastic cheque from the Brewery Inn in Cosh for £250!! Big thanks to the quiz night crowd, landlord John Lowden, and Emlyn and Rebecca for nominating NAs Pembs as the charity of month Fab. Thanks guys.